Interface design is just as important as the quality of the content on your website. 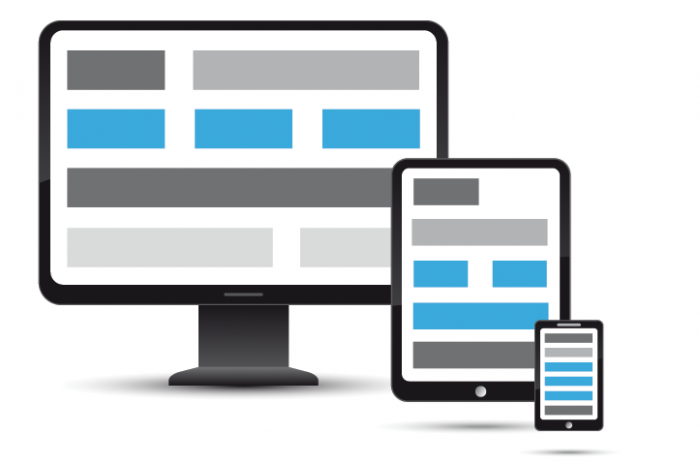 When creating a website, attention must be paid to the most significant interface elements — appearance and usability. A design that does not take these elements into account will drive your audience away and as a result, your ROI will suffer. To yield results, page design should be clean and succinct, so that visitors can access information quickly and without hassle. Below, we have listed a few tips about best practices for user interface elements to help you maintain a compelling and effective website. On large sites, visitors are more inclined to use the search box instead of navigation. The search box should be immediately visible. If not, the visitor may be able to find it after a frustrating hunt, but more likely the visitor will assume there is no search function. The search box should be easy to see and large enough to stand out amongst other elements on the page. Unless the audience is quite unique, the box should be placed in the customary position on the upper right side because this is where visitors have become accustomed to finding it. You may want to include a magnifying glass graphic, as it has become understood universally as the search symbol. Visitors tend to look to the top-right corner of the page when searching for ‘shopping cart’ or ‘register now’ links. Unless you have a reason to place it somewhere else, this element should be kept in this familiar location so as not to slow down or disrupt the user experience. Placement of the opt-in form on the upper left leads to the highest number of opt-ins. Most cultures read left to right. The visitor’s eye begins at the top left corner of the site and will return to rest there. The opt-in should be placed in this area of high visibility because visitors will be more likely to fill it out. Collapsible panels can make for a positive user experience because they tend to make the layout look simpler and cleaner but allow for easy access to details content without requiring the visitor to move to another page. If you use collapsible panels, make sure they are clearly marked or they prove detrimental to usability. Your website should clearly differentiate between normal links and links that reveal new content via a click. Collapsible content should be indicated with symbol such as a plus/minus or an arrow, etc. If your site uses Ajax, be sure to let the visitor know when an Ajax request is being processed or they may become frustrated and leave your site. You can do this by highlighting a ‘loading’ or similar message in the area near the action or simply using the hourglass symbol. Be careful about the amount of advertising on your site. If you have too much advertising on your website, interested visitors may not stay to find the important content. Some large sites do have a lot of ads, but this is because they have a high amount of traffic. Most sites should stick to as little advertising as possible. Advertising overkill that negatively affects user experience can lead to SEO penalties. Visitors should never have trouble differentiating regular texts and links. Links should be made a different color or underlined so that they stand out. This will enable visitors to find the links they are searching for, while also helping them avoid the frustration of inadvertently navigating away from a page. User interface elements should be simple and well-organized. Good technical design and content design go hand in hand for successful website. Do not understimate user behavior and habits -- it is usually best to follow the customs of the industry because visitors have often become familiar with a certain type of design or architecture. Taking the time to carefully design your site for your audience will improve the visit stats and lead generation capabilities. Your website is likely intended to improve or grow your business in some form, so careful site design is essential for creating a successful, advantageous website. See how Neptune Web can help develop a strategy for your website.